Thank you for considering one of our Corner to Corner (C2C) crochet graphs and instructions. 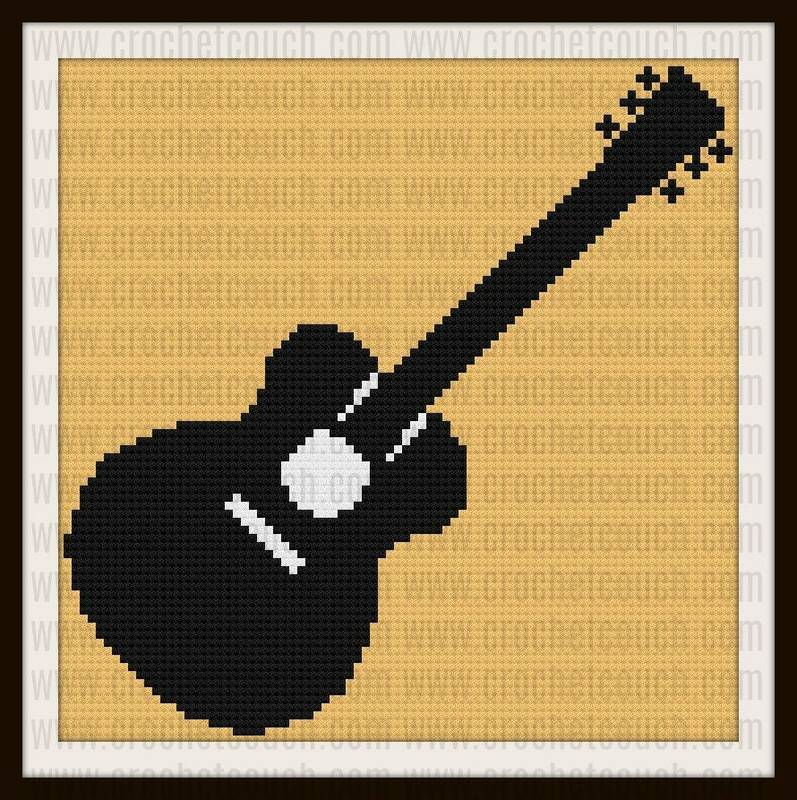 This Guitar afghan is easy to work up using only 3 colors – perfect for a first time graphghan project. Great gift idea for anyone that plays guitar!